Mega Sale! Free Shipping Included! 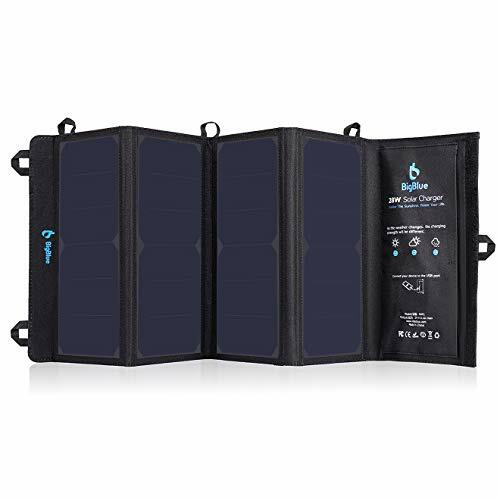 Save 23% on the BigBlue 3 USB Ports 28W Solar Charger, 5V Foldable Waterproof Outdoor Solar Battery Charger With SunPower Solar Panel for iPhone 8/X/7/6s, iPad Pro/Air 2/mini, Samsung Galaxy LG Cellphones and More by BigBlue at DJ Luu. MPN: B401. Hurry! Limited time offer. Offer valid only while supplies last. If you have any questions about this product by BigBlue, contact us by completing and submitting the form below. If you are looking for a specif part number, please include it with your message.